VVDI key tool can perform these functions:edit transponder, clone transponder, test frequency, clone Remote, generate remote, generate garage door remote controller, unlock smart card etc. 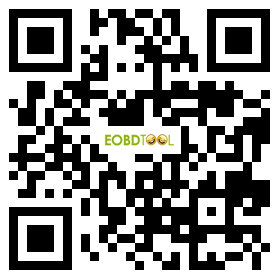 1.How to solve the problem "VVDI Key Tool APP can not recognize Bluetooth"
2.How to Combine VVDI2 with VVDI Key Tool To Get Copy 48 Transponder (96 bit) Function? 3.How to install and register Xhorse Key tool IOS/Android APP? 4.How to connect the vvdi key tool with phone by bluetooth? 5.How to Generate A New Remote using Xhorse Wireless Remotes? 6.How to use VVDI Key Tool Unlock Key With Renew Adapter? VVDI key tool can perform these functions: edit transponder, clone transponder, test frequency, clone Remote, generate remote, generate garage door remote controller, unlock smart card etc. In a word, Xhorse VVDI Key Tool is a device with multi-functions. 1.US Version, If you from America or Canada, could choose this version, it specially for America cars. How to Update VVDI Key Tool Software? Q: If the VVDI KEY Tool support id48 chip? XK0 series wire remote with different style but same function, without immobilize transponder, work together with TP, support nearly 500 common vehicle types. XKN series wireless remote with different type but same function, built-in immobilize transponder 11 12 36 42 44 46 47 etc, one support all type. XK010700 special support for 786MHz.